When they decided to get married they wanted to share with their mid west families what they love about this area so on Saturday we all went on a trek up the gorge! Starting at the Vista House and then touring Latourell and Multinoma Falls and ending up in Hood River for wine tasting. Even in the misting rain it was perfect! The wedding day on Sunday greeted the mid westerners in full north west fashion, buckets of rain! If it’s good luck to have rain on your wedding day then these lady’s are crazy lucky! 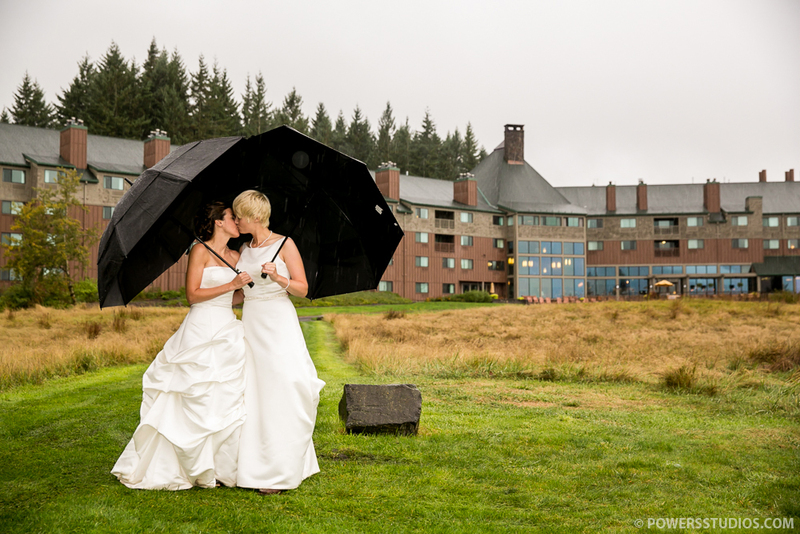 Even through the rain and mist of the gorge Holly & Jessica warmed the ares and were both as bright as sunshine. I was so glad to be a part of your wedding day guys, thank you and best wishes to you!! “Everything has been great! We are excited to see the pictures! Our photographer was wonderful. He made us feel relaxed and was fun.